Shari’s Berries is a premium delivery service that offers the most sophisticated chocolate gifts for your family, friends, and loved ones. 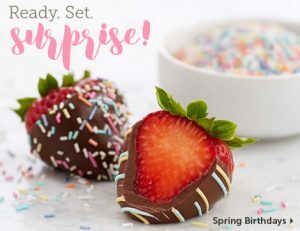 You can select gourmet dipped strawberries, a box of delicious truffles or a colorful basket of organic fruit and surprise that special someone for their birthday or any other occasion. Of course, you can also buy chocolate for yourself and enjoy the magical world of Shari’s Berries. Continue reading our detailed Shari’s Berries review to find out more about this exquisite company. The main goal of Shari’s Berries is to help you show others how much they mean to you by surprising them with superb chocolate gifts. Their specialties are dipped treats because they believe that everything can and should be dipped in chocolate! Shari’s Berries uses only farm-fresh strawberries and dips them into the finest chocolate available. They also make cake pops, cheesecakes, pretzels, and other magnificent sweet delights. Shari’s Berries puts some extra effort into making their treats not only tasty but beautiful as well. Cakes and strawberries are decorated with chocolate chips, dreamy sprinkles, and luxurious toppings. Shari’s Berries pays close attention to the way their gifts look, so they decorate all their cookies and dip all their cherries! In the end, one of the most important features of a good gift – wrapping. Gifts from Shari’s Berries come beautifully wrapped, with bows and gift cards to give your present a personal touch. All cherries, strawberries, and chocolates are delivered in handsome boxes. They are sent in extra packaging that protects them from bumps in the road. This way, you don’t have to worry that anything will happen to your gift. You don’t have to worry about the chocolate melting either since strawberries and other treats are packed to arrive in flawless condition. In case you need some additional information about the way Shari’s Berries work, about their gift offer or anything else, you can contact them 24/7 via phone or you can simply send them an email. Shari’s Berries has a gift for absolutely any occasion you can think of. There are gift boxes and baskets for common celebrations, like birthdays and anniversaries, but that’s not all. With a box of delicious Shari’s Berries, you can also congratulate someone on graduating, wish somebody a long and happy marriage or even express your condolences. 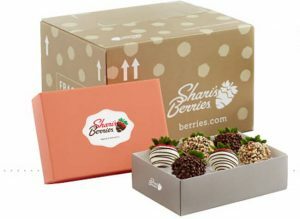 You can send a thoughtful Shari’s Berries gift just because you want to remind someone you love them or to say that you’re sorry. 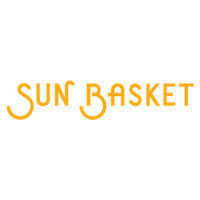 There are also special offers for seasonal occasions, like Spring gifts or presents for St. Patrick’s day, for instance. There are separate sections for ladies and for gents, where you can select a perfect gift for a special woman or man in your life. Shari’s Berries also gives you the opportunity to choose a gift according to his/her interests. Therefore, you can select some superior flowers and berries for her or maybe a cheesecake or majestic chocolate cravings crate for him. 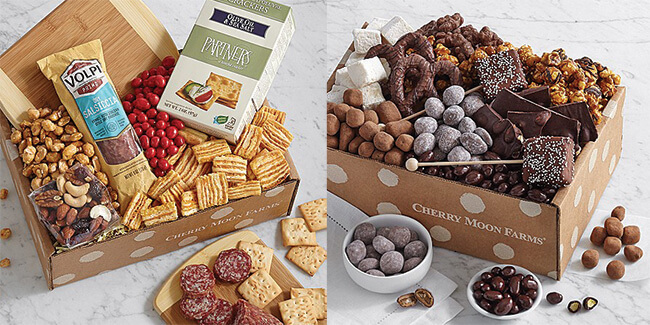 If your partner/husband/brother/father loves sports, you can order a box or two of adorable sports-themed berries or a pack of mouthwatering dipped pretzels. And for the utmost enjoyment and greatest delight, there are baskets of white truffle popcorn, butter toffee peanuts or countless tempting treats that include chocolate mixed nuts, gummy bears, chocolate toffees, and much, much more. 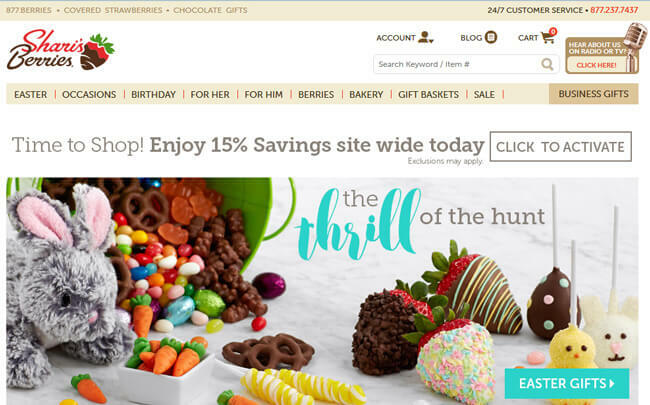 Shari’s Berries’ gift selection includes a bakery section as well. There are sumptuous tortes, yummy brownies, creamy tiramisu cakes, gourmet cupcakes, and fresh-from-the-oven birthday cakes. Business people will also appreciate Shari’s Berries’ special gift offer, which includes business gifts. You can surprise your colleagues or business partners with a box of first-class dipped strawberries, a basket of organic fruit, cheese and snacks or with a glorious chocolate bliss box. With Shari’s Berries, you can celebrate a business anniversary or just show your co-workers that you care. Luxurious presents from Shari’s Berries’ offer might seem a bit pricey at first, but considering the quality of their berries, superb taste of their cakes, and amazing richness of their gift baskets, it makes sense that such sophisticated gifts cost a bit more than a bag of gummy bears. However, that doesn’t mean that they are expensive. For example, you can get gourmet dipped strawberries or chocolate covered Oreo cookies for only $29.99. If you want to send 3 dipped cheesecakes and a dozen of chocolate-dipped strawberries, your bill will be $54.97. Prices go up to $269.99 for 3 serving trays of fancy dipped strawberries, but as you can see, there are also more affordable options in their rich offer. As for shipping, you will have to pay between $9.99 and $39.98 per order. Care & Handling costs $2.99 and is charged separately. Shari’s Berries provides nationwide coverage, including Alaska and Hawaii. Any of their superb gifts can be delivered from Tuesday to Saturday, all year round with the exception of national holidays. In case you are sending gifts to Alaska or Hawaii, you will have to pay additional shipping charges in the amount of $19.99. It is also possible to make an exception and deliver a gift on a Monday, but you need to pay between $4.99 and $9.99 for this service. To make sure Shari’s Berries meets all your standards and expectations, it is important to know its biggest advantages and disadvantages. With a short overview of its pros and cons, you can easily decide if Shari’s Berries is the right company for you. At the end of this Shari’s Berries review, we can only say that Shari’s Berries’ gift selection is colorful, rich, and luxurious. There are gifts for everyone and for any occasion. Gourmet dipped strawberries, chocolate-dipped cherries, sumptuous three-layer chocolate cakes, countless sorts of cookies and truffles – all of this and much more is included in their amazing offer. While they are not the most affordable chocolate gift delivery company, they definitely give you a lot of value for your money. Our ratings are the result of an objective and independent evaluation of Shari’s Berries, generating the final rating that reflects the overall quality of the company. Ratings may change as the service changes. Shari’s Berries customer rating based on 37 customer reviews. They are the WORST!!!! I had flowers and strawberries delivered to my mother for her birthday as a surprise. The flowers came completely dead and the strawberries were HORRIBLE and brown and absolutely disgusting. I emailed their customer service and they just totally ignored me, never responded. I even sent them pictures to prove how gross they were and they are doing nothing. 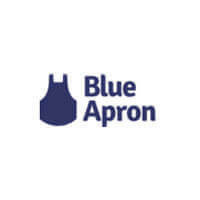 DO NOT ORDER FROM THEM!!! I wish I could give 0 stars but they wont let me. I ordered from Shari’s two weeks before Valentines Day and payed extra for Valentines Day delivery and also extra for rural address. They were supposed to be a surprise for my wife. The didn’t arrive until the day after Valentines Day and come to find out that they weren’t close to what I had ordered. I emailed them and they responded that they would issue a refund. I have yet to see a refund. I will never order from them ever again. My husband ordered 2 dozen chocolate covered strawberries to give me on Valentines Day. He paid extra for them to be delivered before noon as he had a mid day dinner plan for us also. They arrived at 4:30. We contacted the company and they immediately not only refunded the extra shipping fee for delivery before noon but also all the shipping costs. Customer service did a great job. AND, the berries were so good! We will order again from this company as they stepped up and did the right thing which I might add so many companies simply don't. We do business with companies that treat their customers as valued assets. Shari's Berries did that. Feb 14, 2019. I paid $41.97 in shipping fees to "guarantee" - according to Shari's Berries website - delivery of my wife's gift on Valentine's Day. The gift was not delivered. I called Shari's Berries and they offered a full refund of all delivery charges. The refund may be appropriate on their part but it does little to make up for a botched gift to my wife on the most romantic day of the year. This is my first time using Shari's Berries. First impressions are everything. I will not be a returning customer of Shari's Berries. FYI, Shari's Berries is part of the FTD conglomerate. Absolutely horrible experience. I placed my order on 2/6 for delivery on Valentines day (8 days later). I paid extra money for GUARANTEED Valentines Day delivery and paid extra for GUARANTEED morning delivery on Valentines Day. I was told I would get an email when my order was shipped and delivered. By noon on Valentines Day, I hadn't heard anything so I called. Spent an hour on the phone with them telling me my order has been pushed to 2/15 (about 50 minutes of that time was spent on hold). It was pushed due to "high volume of orders". I will never be ordering from Shari's Berries ever again and I will be telling everyone I know not to order from them. Shari's Berries must've put out a huge ad campaign this Valentine's Day season as I heard about them everywhere. From the looks of it I'm glad it worked as I notice a lot of their boxes around today. I ordered my wife's gift a week ago and paid for "Guaranteed" Delivery with the added cost for a morning delivery as I know she's super busy in the afternoons. Funny enough my wife also got me a little something from Shari's Berries as I was surprised with a box this morning! However while the food is great, no complaints there, the company seemingly doesn't comprehend the definition of the word "Guarantee".Shortly after receiving the gift from my wife I was prompted to look at my account as the morning was getting old and she hadn't sent me a message. When looking at my order online (no email for delivery or shipment processing) it showed as a February 15th delivery..I called support and the agent stress multiple times that this was a carrier issue and not theirs. I'm sorry but if you charge people for a guarantee, a GUARANTEE, any issue that would break that guarantee whether internal or external is your issue. From the looks of it on this site the company just wasn't ready for the massive amount of orders.I had initially thought the prices for shipping, time, and guarantee were steep (amounting to half the bill) but let it slide as it was one day and it would make my wife happy. For the amount Shari's Berries charge for shipping and a "guarantee" alone there shouldn't be any issues.I understand this is probably their busiest time/day of the year, but someone at the top has to have the foresight to realize this an maybe not "Guarantee" so many orders. The sliver lining is they did refund my shipping costs, delivery time costs, and "guarantee" costs.I will not be using their services in the future and it's a shame as the food is good. Great food doesn't out weight service however as I can always get just a great food from somewhere else with better service. We found 0 verified Shari’s Berries discounts for April, 2019. There are no Shari’s Berries coupons or discounts right now.